Ignoring video marketing is a mistake in today’s market. Let’s just get that out of the way so we can continue with our helpful, informative blog post. So now, let’s talk about how video will capture more attention than all of your other marketing efforts combined. Great content isn’t about pitching your products and selling things. Great content is about captivating your target audience, developing relationships and providing value to anyone connected with your brand. It doesn’t hurt if your content is entertaining while you are at it. However, whether you provide entertainment or information doesn’t really matter. Your focus is whether or not you’re bringing something tangible to the table. The point is: communicate a clear message and your content will be a success. 70% of ad agencies feel that video is more important that other content methods. 78.4% of internet users watch online videos. The highest viewer penetration is viewers aged 25-34. 48 hours of YouTube video is uploaded every minute. Video in social media marketing increases sharing by 10%. Are you convinced? Good. Let’s talk about how VKN Digital can help you make the most of video content. Think of this situation. While you are scrolling your favorite feed, you see a text or video. Which would you choose to interact with? If you said video, then you are the same as 80% of the population. 80 percent! That means that 4 out of every 5 people you meet would rather watch video than read an article. So to put it plainly, not posting videos means that you are seriously missing out on viewers and connections. People don’t like salespeople. It’s just a fact. As shy humans, we try to avoid interactions that create anxiety. Salespeople have to job to force decisions out of shy humans. It’s a bad combination. Therefore, you want your video to act as self service sales. This means that you don’t have to hire salespeople, and your customers won’t be anxious. It’s obvious right? Why is this? Video is the ideal solution because it allows customers to be in charge of their own buying power. They can research and ask around all without anyone to report to. When considering purchases, only 20% of customers want to talk to sales people, and many customers don’t want to talk to anyone at all in the sales process. It’s up to you to make sure that the necessary information required for purchase is available without salespeople on staff. Video means a self service approach to buying your product on their terms. Why wouldn’t you want to do that? The video you create has to stand out. It must scream “We are different, better, with more value for money and here is our USP.” Just any old video just won’t do because the competition is well, competitive. So video quality is vital, and you won’t impress anyone with bland or boring clips. This doesn’t mean that you need Spielberg or a huge budget to create video content. You only need imagination and a little bit of help. Think live video works, demonstrations, how to examples, observations, events and anything else that is exciting for your brand. 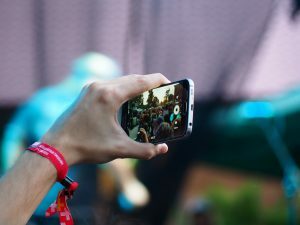 Live video is quickly becoming a tool for Facebook, Snapchat, Twitter and Instagram that help brands reach their goal levels of reach and engagement. You’re not alone. VKN Digital has expert marketing and videographers on hand to help! If you’ve never tried video, this post might be a little overwhelming. Nobody wants to be the cheesy guy in their own ads right? That’s why you need a little support. 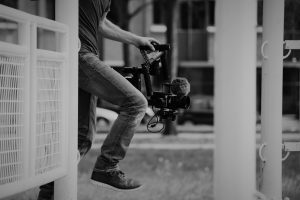 VKN Digital has the expert advice and equipment you need to get your video content campaign off to an exciting and rewarding start. You just remember this important advice: Don’t ignore video marketing as it has so much to offer your brand, and we can do the rest. Don’t waste another second. Get your business ready for lights, camera, action today. Simply send us a quick email to info@viviennekneale.com or give us a call at 020 3633 0618 and we can get started today. Like you say, people don’t like sales. This is another reason video is so successful in getting contacts further down the marketing funnel – they can be based on stories. Storytelling is so innate to human experience that when we meet it in any form we are naturally predisposed to be curious, so a narrative will beat a salesy message any day! Hey Tabitha, thank you for the comment. People want to be armed with information before they deal with a sales person. Video rocks!